This self drive tour travels through the iconic South West region of the Wild Atlantic Way coastal route. This 5 night Irish holiday takes in the South West Wild Atlantic Way. You get to travel off the beaten track and enjoy a tour like no other! Tour the South West coastline, walk along sandy beaches, stand at the top of some majestic cliff faces and watch the huge Atlantic waves crash in! Depart for Kinsale.. Kinsale is a delightful harbour town that has retained its old world charm and character despite being well developed from a tourism point of view with its beautiful waterside location, local facilities including a yacht marina and historic buildings such as Desmond Castle and Market House as well as Charles Fort overlooking the sea and town. Take a boat trip round historic Kinsale’s natural harbour on the Spirit of Kinsale, past the famous headland Old Head which is also a WAW Discovery Point, and out to where the transatlantic Lusitania was sunk by a German u-boat in 1915 … a seismic event that brought the US into WW1. On board the Spirit of Kinsale, there’s freshly brewed coffee and blankets to keep you warm. Have Lunch in Fishy Fishy café in Kinsale which is a `must do` item during any visit to Kinsale. As the name suggests they cater for all seafood lovers and serve the most wonderful seafood dishes in their pier side restaurant. Kinsale is the gourmet capital of Ireland boasting numorous excellent restaurants and atmospheric traditional pubs so you will be spoilt for choice ! That evening maybe head to Skibereen in West Cork and take kayak trip with Atlantic Sea Kayaking .Past guests have commented that this is a magical experience paddling along under the moonlight This is a very atmospheric trip and doesn’t travel a great distance, so it is suitable for everyone. There is always something to make you gasp on the moonlight / starlight kayak trip, whether it be the silhouette of the seabirds on the bank, the red sunset, the whole panoply of stars overhead, the moonlight reflected on the water, or, at certain times of year, the astonishing bio-luminescence. This is a light emitted by marine life, which, from the paddler’s point of view, causes the water to light up around your paddle in 1,000 tiny lights. Today take a trip to the Mizen Head Visitor Centre . The Mizen Head Signal Station was built to save lives off the treacherous rocks at Ireland’s most south-westerly point, five miles from Goleen. An award winning Maritime Museum and Heritage Attraction, this authentic all-weather experience is a must-see with its spectacular location on high cliffs with swirling Atlantic Ocean tides. From the Car park and Visitor Centre, the Signal Station is a ten minute walk along the path, down the 99 steps and across the Arched Bridge. The Mizen is famous for its wildflowers and sightings of wildlife, dolphins, whales, seals, gannets, kittiwakes, choughs – the bird migration north-south flight path is just a mile off shore. Have a tea/coffee break at the Crookhaven Inn which is a fully modernised bar located on the famous Mizen Peninsula, one of the most westerly outposts of Europe. The tranquil village of Crookhaven lies beside the harbour from whence it gets its name and attracts many small yachts and tourists in search of protected waters, clean air and good food. In the evening take a Whale Watch boat trip in West Cork . The clear unpolluted waters off West Cork provide a feeding ground for Risso Dolphins, Minke Wales, Basking Sharks or Humpback Whales to name but a few. Enjoy sunset tours leaving at 7pm and early morning sunrise tours with a qualified zoologist who is an outspoken advocate for marine conservation and sustainable tourism. Tours are scheduled according to demand. 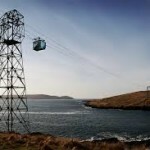 Embark along the Beara Peninsula and take a trip out to Dursey Island – Irelands only cable car. (Bring a packed lunch and comfortable walking gear). Lying across a narrow mound off the tip of the Beara Peninsula, this is the dictionary definition of escapism as there is no business, no traffic and no bustle!. It is just rugged nature surrounded by the awe-inspiring Atlantic Ocean. There is one sign of civilization of course-Dursey’s unique and charismatic cable car. Hitched to the mainland ,, this is Ireland’s only cable car, running 250 metres (820ft) above the sea. With a capacity of carrying just 6 people at a time, the cable car is a lifeline for the few inhabitants, living in three small villages on the island. Stepping on to the Island, visitors can continue on foot along a stretch of the Beara Way. Highlights on Dursey include the ruins of O’ Sullivan Beara’s castle, a 200 year old signal tower with views stretching to the Skellig Islands and Mizen Head, and several standing stones. The indented coastline, open bog and wild winds leave you in no doubt – you’re far from the madding crowd. Continue onwards to Kenmare, and enjoy a coffee stop here in one of the many beautiful cafés and restaurants. Why not visit Kenmare Heritage Centre and learn about the history and tradition of lace making. Embark the short journey to Tralee and pay a visit to the Tralee Bay Wetlands Centre. This unique activity and nature based visitor experience includes a 20 metre high viewing and observation tower. Visitors can enjoy guided nature boat tours, interactive wildlife exhibition and an activity lake. Travel to Fenit and lunch in The Oyster Tavern, Fenit. You can take a guided walk along Fenit Boardwalk where you can experience the authentic Irish heritage of this trail and discover the story of St. Brendan who its said was born there. That evening enjoy the best of Irish music, song and dance in The Siamsa Tíre, the National Folk Theatre of Ireland. Today begin the drive from Kerry to Doolin in Clare. Firstly stop off along the way at Ardfert Cathedral and walk on Banna Beach to stretch the legs. Ardfert Cathedral is the monastery founded by St. Brendan in 520AD and enjoy stunning views of Mount Brandon, the pilgrims route and also Irelands second highest mountain. Onwards to Carrigafoyle Castle, one of the finest examples of a fortress built during the troubles times in the 1500’s. If time permits whilst waiting for the ferry to Clare, why not visit Tarbert Bridewell. Built in 1831, Tarbert Bridewell has served as a courthouse and jail for more than 100 years. It’s exhibitions bring history back to life as visitors follow the life of wretched Thomas Dillon. 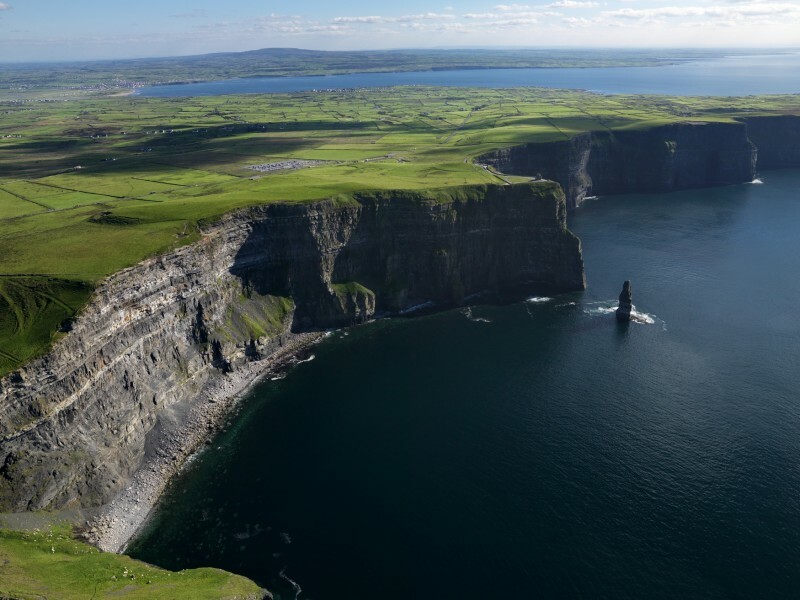 An award winning Maritime Museum and Heritage Attraction, this authentic all-weather experience is a must-see with its spectacular location on high cliffs with swirling Atlantic Ocean tides. 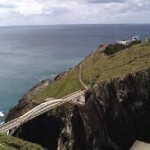 From the Car park and Visitor Centre, the Signal Station is a ten minute walk along the path, down the 99 steps and across the Arched Bridge, the Mizen is famous for its wildflowers and sightings of wildlife, dolphins, whales, seals, gannets, kittiwakes, choughs – the bird migration north-south flight path is just a mile off shore. South, the Fastnet Rock Lighthouse, Ireland’s Teardrop, was the last landfall seen by many emigrants to America and one of Marconi’s first telegraph stations. Mizen Signal Station had the first Radio Beacon in Ireland, 1931; the history of Safety at Sea communications is here, Wireless Signals, Racon, GPS and DGPS. Displays about the lives of the Irish Lights Keepers who left the Mizen in 1993. This unique trip is an opportunity to view Kinsale from the water. A perfect combination of culture, information, relaxation and stunning scenery. Kinsale has a wealth of historic sites and our tour gives you a birds eye view and an opportunity to appreciate them in context. Jerome’s commentary gives a brief history with anecdotal legends and an insight into how the town has developed over the centuries. Leaving the quay, the boat passes the yacht marina and on by the picturesque former fishing village of Scilly. The boat goes close to the shore to allow passengers a chance to glimpse seals, otters, herons, shags cormorants, terns and other flora and fauna. You will be able to view attractions such as Charles Fort , Old Head of Kinsale ,Block House situated in one of the most beautiful harbours in Europe. Originally opened in 1969, the Dursey Island cable car remains, to this day, the most used means of transport across the turbulent waters of the Dursey Sound and offers a truly singular experience. Ireland’s only cable car, and one of the very few cable cars that traverses seawater in all of Europe, it is one of the great attractions of the island and people travel from far and wide to give it a go! Dursey Island (Irish: Oileán Baoi (Yellow Island)) is one of the few inhabited islands that lie off the southwest coast of Ireland. It is situated at the western tip of the Beara Peninsula in the west of County Cork. Dursey Island is 6.5 km long and 1.5 km wide. The island is separated from the mainland by a narrow stretch of water called the Dursey Sound which has a very strong tidal race, with a reef of rocks in the centre of the channel which is submerged at high tides. This peaceful island, with only a handful of permanent residents, is connected to the mainland by Ireland’s only cable car. island, historically, was made up of 3 villages or ‘townlands’. These are Ballynacallagh, Kilmichael, and Tilickafinna respectively from east to west on the island. Quite a few of the buildings that comprised these villages can still be seen today.Dolphins and whales are regular visitors to the rich waters that surround Dursey, in addition to a wide range of different types of seabirds and butterflies.y has no shops, pubs or restaurants, so visitors are advised to bring food and water if they plan to go for a walk! Have you decided that you’d prefer a golf holiday instead? Check out our dedicated golf site for all your golfing needs. If you have decided that you would prefer a coach tour instead then check out all our great tours here.